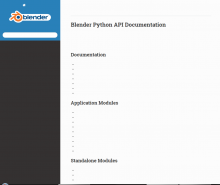 Welcome to the Blender User Documentation project. We are actively searching for contributors and documentation module owners. 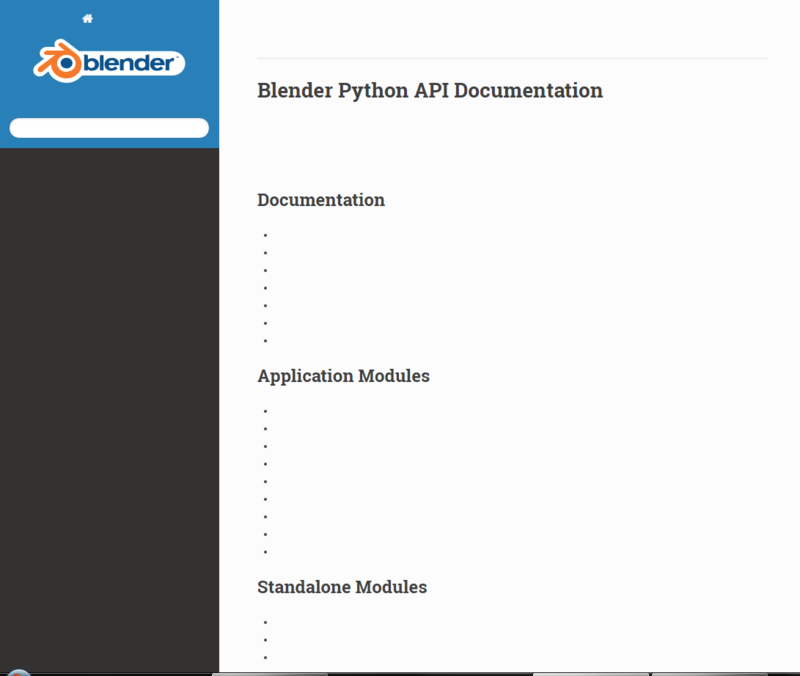 The Blender Manual is written using reStructuredText (RST) and is built with Sphinx. If you want to start contributing or want to have a look at the manual, here we have some instructions. NOTE: We realize this may be intimidating if you're not familiar with Subversion or making patches, you may also submit the modified file as a Phabricator task, or mail the bf-docboard mailing list. 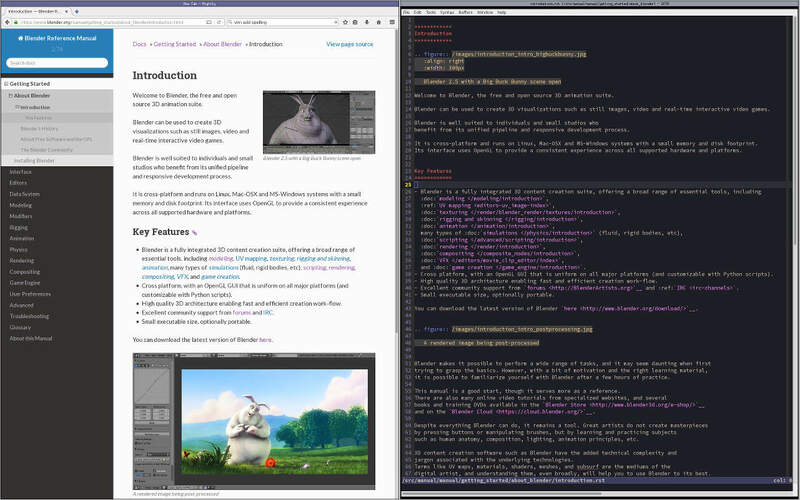 Manual Docs: Manual/About (the process for editing the manual). Source Files: Manual Repository (subversion repository). If you are interested in becoming a contributor, please contact us on the bf-docboard mailing list. Source Files: Translation's Repository (subversion repository). NOTE: If you are a new translator who wants to start translating a new language that is not listed below send and email to the bf-docboard and we would be glad to set it up for you.